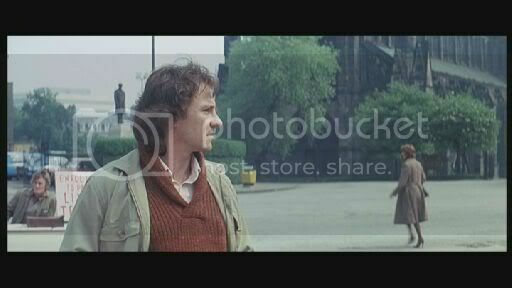 OK, here's a few stills from the DVD I got recently, would very much appreciate help in IDing some of the streets. 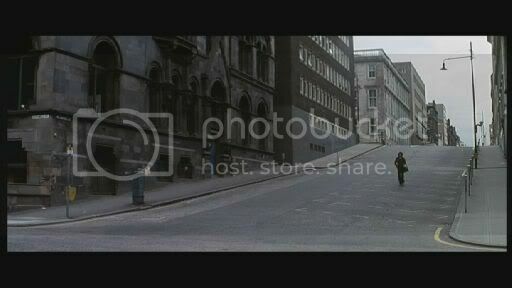 Annoyingly, I loaned the DVD to a mate, so only have what I'd randomly saved when I first flicked through the disk..
Not at all sure, somewhere around Bothwell St? - any offers? 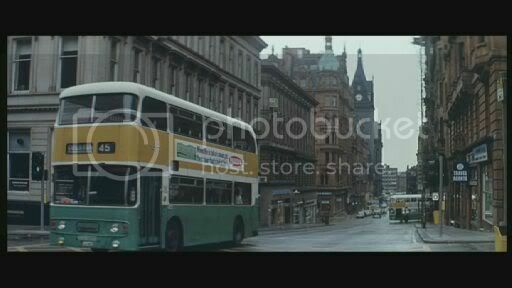 Not the faintest idea - love the yellow, white and green Leyland Atlantean! Harv and Harry Dean Stanton in a swing park - not the best shot of all, all I have at hand! Hope St, and another of those Atlanteans! Again, not the best shot, but all I have. 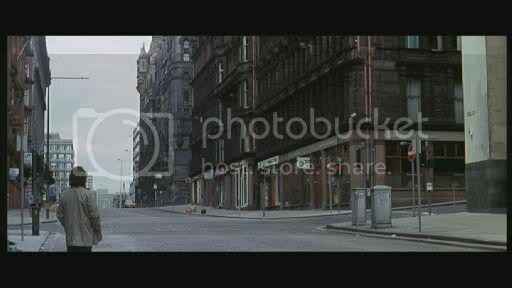 In the film, this looks awfully like Nico's on Sauchiehall St, but no exterior shots. Where did you get the DVD? I've been trying to get that film for aaaages. 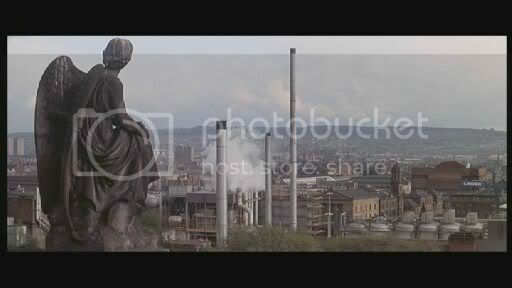 By the way, pic 10 looks like it may be in the Garnethill area? Thanks, got the DVD from Amazon France (http://www.amazon.fr) - fairly easy with a bit of schoolboy French, and you're already registered with them if you have an account with the UK or US one. Just remember to look it up with the French title - La Mort en Direct or similar! 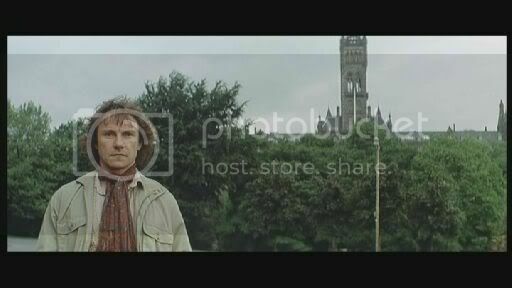 There's a making of feature on it too, mostly in French, and mastered off a battered old VHS by the looks of it, but it's quite interesting, lots of shots of the locations used, both before and after set-dressing, and good to see the interior of the GFT make an appearance too, albeit decorated in an appalling 70s way! 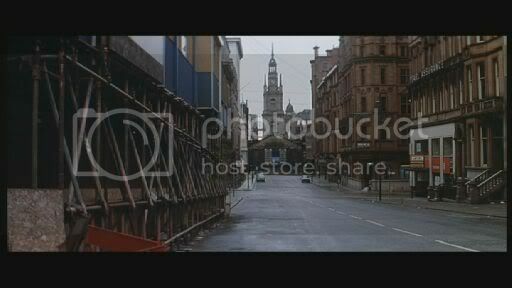 Think you're right about Garnethill, now that I look at it again - is it Rose St taken from New City Road? If it is, the lack of the new flats behind the bus threw me! To think, I used to live a few doors along in West Graham St too! I recognised the building, just can never remember what it was called. Shame it's gone now. I'm sure number 8 is what is now the Britannic Asset Management building on Bothwell Street, the one that now has the Marks and Spencers on that corner of the building. The light building just showing on the right hand side of the frame is Madness. The off blytheswood square frame I'm sure is the junction of St Vincent St and Pitt Street as you're heading up towards the Police HQ just opposite Abbey National House. 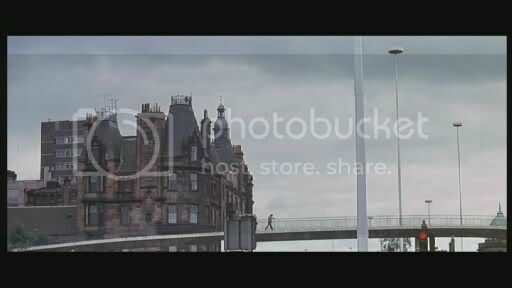 When not a poor computing student I work the summers at the Abbey National's head office so I walk Bothwell Street twice a day for three months every year! 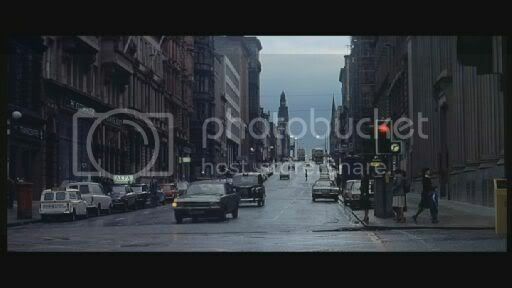 The St Vincent Street picture I think is where Renfield St intersects St Vincent Street 'coz my Girlfriend was getting her hair cut in the Essentials Salon place which is opposite that big old closed bank (was it a bank?) in that picture - Interestingly the traffic in your picture is going the opposite way from what it does today. By total coincidence you get a really good view of the boozer in this picture of the Carrick that Dazza has just posted! 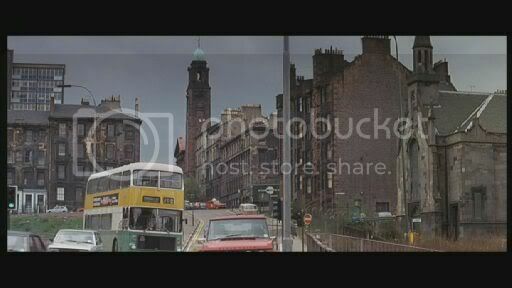 gap74 wrote: Think you're right about Garnethill, now that I look at it again - is it Rose St taken from New City Road? If it is, the lack of the new flats behind the bus threw me! I'm pretty sure your right about this. St Aloysious and the block of flats give it away, but there have been some changes in the forground since. 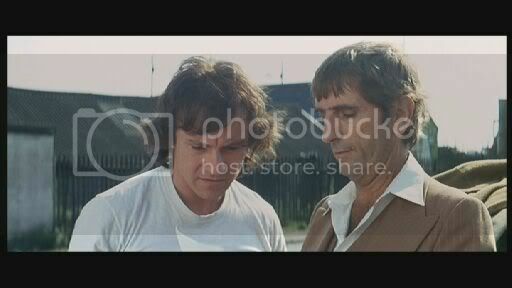 By way of anecdote, which I think I've posted before, the director Bertrand Tavernier was meeting Glasga cooncil worthies during the filming and they asked him why he chose Glasgow as opposed to edinburgh. 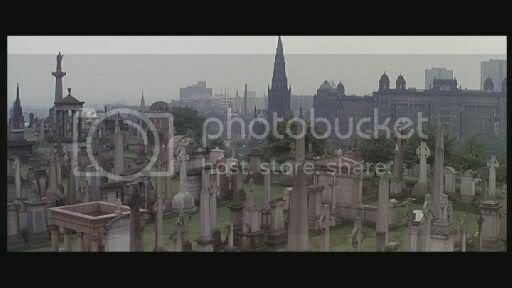 He replied that, indeed, Edinburgh was the more beautiful city, putting the noses of the city faithers a wee bit out of joint until he added but Glasgow..it is so much more dramatic. BTW the film is called La Mort en direct in French, available from fnac.fr. 28 Euros. These pictures are amazing, I've never heard of this film but must get a copy. Yes, pic 10 is Rose Street from New City Road, interesing to see Milton Presbyterian Church at the corner of West Graham St, demolished in the 1990s and now to be the site of a new housing development (grab a bit of railing while you can!). You can also see the tenement block that stood on the site of the new(ish) Garnethill Park on the corner of Rose St and Hill Street. of American gangsters in Glasgae? When was it made? Early 80's? 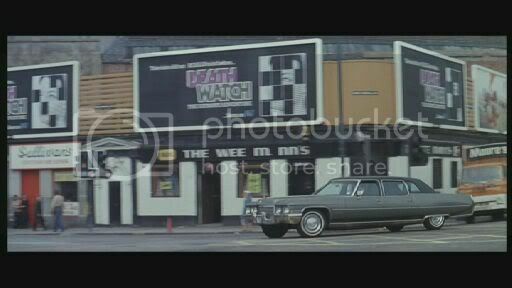 BTW, that pub shot definatley *looks* like Nico's. of American gangsters in Glasgae? "In a future where all illness has been abolished, Katherine Mortenhoe, an author of computer-written romantic novels, is diagnosed with a terminally incurable illness. She immediately becomes the subject of curiosity with all the tv networks wanting to buy the exclusive rights to her death. Running away from the cameras and curiosity seekers, she heads to a remote area of countryside. She is helped by Roddy, a man she meets and comes to fall in love with. But unbeknown to her, he is really a tv reporter with cameras secretly built into his eyes, and her condition only a hoax created by the tv networks as a ratings gimmick."